A major milestone is just around the corner for the Home Fire Campaign. October will mark one year since the campaign launched in 2014. 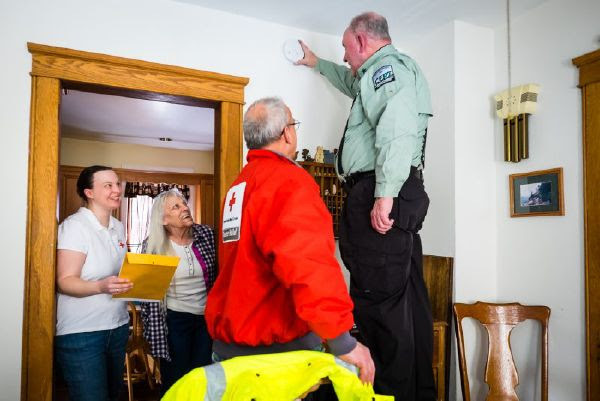 Over the course of this first year, the Red Cross has partnered with more the 1,900 organizations nationally and locally to bring fire safety education and working smoke alarms to homes around the country. Working together, we have installed more than 125,000 smoke alarms and helped to prepare more than 63,000 households. Most importantly, 26 lives have been saved so far as a result of the fire safety education and working smoke alarms provided by the campaign. By LM in Fire prevention, News on August 31, 2016 .